What would you tweet after a car crash so impactful that it triggers the airbags to protect you from bumping into the steering and leaves your car unusable? A lot of people would tweet pictures of themselves being safe or post a picture of their car in ruins. Rarely anyone would be thinking about their cosmetics at that time. But a Chicago woman has made headlines after she tweeted photos of herself and her car after a crash. What’s headline-worthy is that the woman praises her lipstick brand right after the horrible incident. Taryn Elise wrote on Twitter after an apparently heads-on crash that her lipstick was still in place even after the crash triggered airbags of her car. 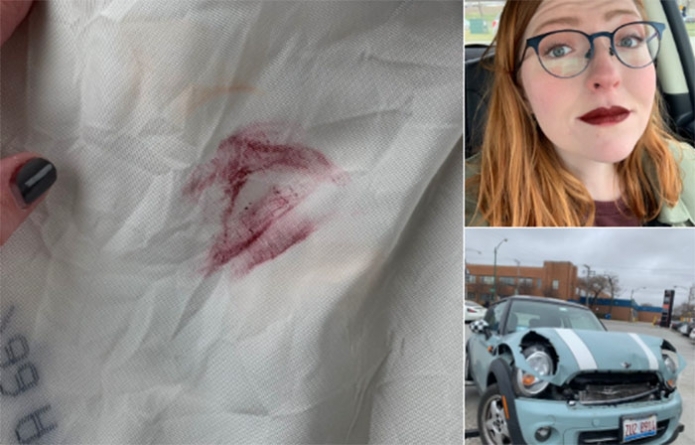 Elise, who looks fully composed in photos quite contrary to her battered car, also posted a picture of the airbag which shows marks of red lipstick. She says her lipstick held its place even after the airbag popped up in her face. 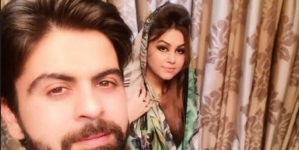 Her tweet went viral immediately with even the Jeffree Star lipstick makers retweeting her photos and offering her free makeup from their elite collection.